While US retail investors are suckered into social media IPOs, a thriving market keeps many large, cash flow positive companies in institutional hands and out of public's reach. Many retail investors haven't even heard of companies such as Neodyne Industrial, Truven Health Analytics, or Suddenlink Communications. These represent some of the multi-billion dollar private transactions that took place in 2012. 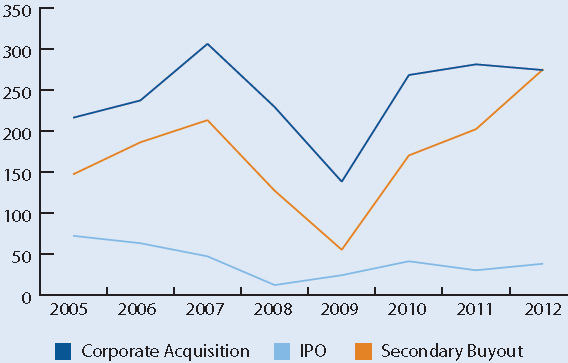 Prior to the financial crisis many private companies ultimately entered the public market either via IPOs or via acquisitions by public firms. But these days the IPO market isn't exactly receptive to companies that may not have the inflated growth projections of some internet firms that we all know and love. On the other hand many larger corporations have been too gun-shy to make big strategic acquisitions and instead prefer to sit on cash. Private equity investors who in the past had a variety of exit strategies now end up holding their investments over longer periods (according to PitchBook). 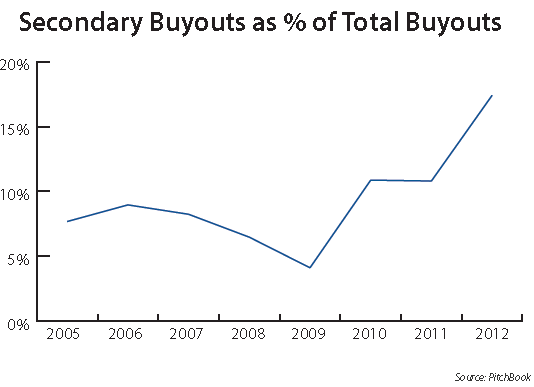 That's why private companies are increasingly "traded" among private equity firms, as the secondary buyouts - purchases of companies from one set of private holders to another - rise sharply. In fact for the first time in recent history the dollar amount of secondary transactions - trading among private equity firms - has exceeded corporate acquisitions. 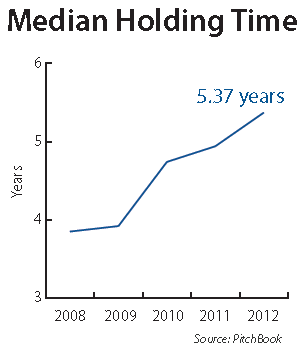 So why is it that retail investors can't participate in this market worth hundreds of billions a year? In order to participate in such transactions (usually via a private equity firm) investors need to have $5 million of liquid net worth - it's an SEC rule. And while the real money is made by institutional investors and high net worth individuals, retail investors get to own Facebook.